In 2006, Punjab chief minister Amarinder Singh faced an unprecedented situation. On the one hand, he had to contend with a looming crisis in the form of falling water table. On the other hand, he had to decide on passing a law to arrest the decline in the state’s water table that would deprive farmers the right to sow rice at a time they deem fit. Delaying the sowing would have helped. Rice cultivation, which used to start in April, depended solely on underground water. A delay in cultivation would have brought it closer to the monsoon season. Having earlier accepted new technologies such as Bt cotton and drip irrigation, the chief minister was considered open to novel measures. But this time he did not agree. “Elections are due next year and having such a law for farmers would be suicidal for us,” he said. The 2007 elect-ions brought the Shiromani Akali Dal–Bharatiya Janata Party alliance to power. The draft legislation was again presented to the new Chief Minister, Parkash Singh Badal. But he too gave a cold response. Political establishment in Punjab had always been reluctant to carry out agricultural reforms because farmers are a major vote bank. As a result, the state has paid a heavy cost in terms of water and soil resources. Despite the two rejections, PSFC did not give up. It approached Badal again in 2008 with the same draft. The chief minister was told that the proposed piece of legislation should be tried on an experimental basis through an ordinance. “If it succeeds, we will make it a law and if it fails, we will take it back,” proposed Kalkat during the meetings. Heated arguments and a long-drawn legislative process followed. Finally, the ordinance was issued in April 2008. 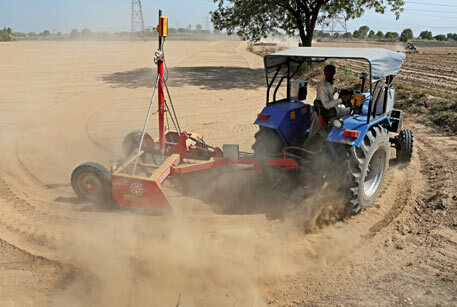 It prohibited farmers from sowing paddy seeds in nurseries before May 10 and transplanting the saplings before June 10. The year 2008 saw a good rainfall and farmers did not face water stress. The ordinance had an impact. Almost no transplantations were seen by May 10 and by June 10, saplings were transplanted on only 22 per cent of the paddy fields. In 2007, transplantation had taken place in 42 per cent of paddy fields by this time. The outcome convinced the political bosses of the efficacy of the ordinance and the Punjab Preservation of Subsoil Water Act was enacted in 2009. The law allows agriculture department officers to destroy the nursery or transplanted paddy. The uprooting costs are to be borne by farmers (see ‘What the law says’). The Act levies a penalty of Rs.10,000 per hectare per month on the farmers who contravene it. It even allows field officers to disconnect power supply to a farmer’s field till the notified date if the farmer is found violating thelaw repeatedly. Seeing that the law did not face much opposition from farmers in Punjab, neighbouring state Haryana too adopted it. 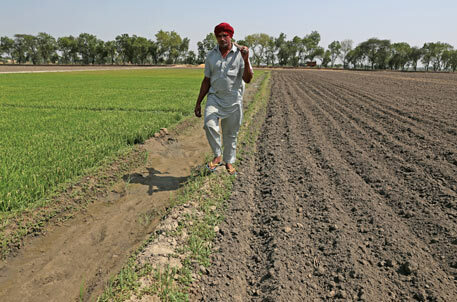 The Haryana Preservation of Sub-soil Water Act, 2009, is a copy of the Punjab law. During the late 1970s and early 1980s, which was the Green Revolution era, Punjab and Haryana shifted from their traditional crops (maize, pearl millet, pulses and oilseeds) to the wheat-paddy cultivation cycle. The change in cropping pattern was to ensure food security for the country and, therefore, neither the Centre nor the two states showed much concern for the sustainability of the resources. The alarm was raised for the first time in 1979 when groundwater levels started falling in central Punjab and parts of Haryana due to paddy cultivation. But the floods in 1988 helped revive the water levels. However, the problem resurfaced after the farmers were introduced to a new short-duration hybrid rice variety, Govinda, in 1993-94. The variety matured in 60 days and was, therefore, popularly called sathi. It allowed farmers to complete two rice crop cycles in one kharif season (April to October). This increased income for farmers because the yield had doubled and the government’s minimum support price (MSP) regime was giving assured returns. But it proved detrimental to the water table and lead to the second major crisis. By 2002-2003, underground water levels became so low that the Central Ground Water Board and Punjab Agricultural University had to bring the issue to the government’s notice (see ‘Rate of decline of water table in Punjab). These crises led to the creation of PSFC in 2005. The commission, without any political support, started its campaign through media advertisements. One such popular advertisement was in the form of an appeal from eminent agriculture scientists—“Chonne hetho rakba katao. Pani bachao, Punjab bachao” (Reduce area under rice. Save water, save Punjab). “A lot of factors contributed to the success of the law—weather conditions, awareness campaigns and hard work of field officers. Punjab has arrested water decline from 91 cm per year in 2000 to 55 cm per year in 2009-13,” says Punjab Agriculture Commissioner Balwinder Singh Sidhu (see ‘Shift grain bowl status to other regions’ on p33). 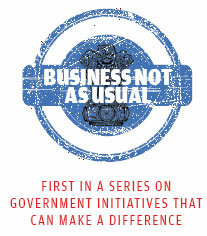 In 2009­, the year the law was enacted, the monsoon was 30 per cent below normal. But late sowing saved farmers from losing crop. This went in favour of the law. “There were a few incidents of opposition in some parts. But even farmers felt and feared this crisis. Five years down the line, they have understood that our effort is only to help them,” replies Sidhu when asked why the farmers did not oppose the law. Farmers were told that 4,500 litres of water is required to grow 1 kg of sathi rice when it is sown in April-May. But if sowing is done around mid-June, water requirement reduces to 1,500-2,000 litres. Water requirement is high in April-May because the evaporation rate is high and there is no rain. As a result, all the water used in irrigation is from underground. But in June-July, rainfall supports water needs of the crop. Officials of the agriculture department say the farmers understood these logics. “Despite this initial success, the efforts would go waste if the Central and state governments do not adopt the policy of crop diversification and stop measures such as free power and diesel subsidy,” says a senior official from the agriculture department of Haryana on condition of anonymity. He says that since farmers do not have to pay for power, they use pumps carelessly. The law has changed the landscape of Punjab and Haryana. Earlier, the fields would be green with sathi saplings from mid-April. Now, small fields cultivated with green gram (moong) and sunflower can be seen, but the majority of the land remains fallow till June 15. The farmers have accepted the law, but has it been a wilful acceptance? 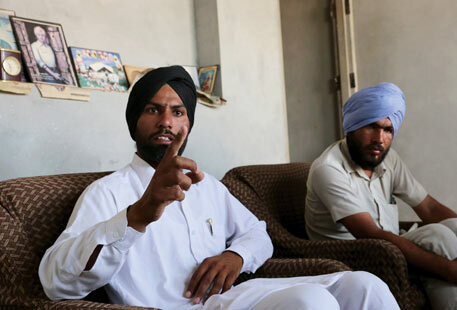 Jaswinder Singh of Longowal village in Punjab’s Sangrur district says the law has been forced upon farmers. In 2009 when it was enacted, 17 farmer organisations in the region gave several representations against the law to Sangrur’s deputy commissioner. “You need to understand our rice cropping pattern. If a farmer has 2-4 hectares, he would grow sathi on only 30 per cent of the area, parmal on 50 per cent and basmati on 20 per cent. All these are grown at different times, starting from April till June. This is to ensure that if one crop fails, we have others to rely on. 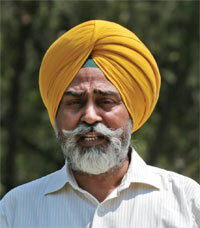 But the law has changed the entire pattern,” says Jaswinder. “Sathi also gave fodder for animals, but it is gone now,” he complains. There is another problem, he says. “Rice is a 120-day-crop, and because of delayed sowing we only get a small period for harvesting. Due to this, the moisture content in rice is high. While the MSP is `1,400/quintal (100 kg), we lose `200-300 per quintal because of the moisture content. Farmers have the option either to harvest it and dry the heaps or to sell it at a low price,” says Darbara. Farmers say since they do not have enough time to prepare the field between two crop cycles, they are forced to burn the rice straw. Weeding the straw means additional costs and labour rates are very high. “We know harvesting water and recharging the water table during the rainy season is the correct way, but we cannot use our fields for this purpose,” say farmers. “The government should find fallow land and set up infrastructure for harvesting water. But they are selling all the land and pocketing the money,” they allege. Farmers say they understand the crisis, but do not have viable alternatives. The government needs to understand their economics too. Seventy-six-year-old Jarnail Singh of Longowal still remembers the days when he could just dig soil with his hand and see water seep up from the ground below. It was 40 years ago. “Our village was always waterlogged. Be it cotton, sugarcane, green gram or maize, nothing would survive in this soil,” says Jarnail, a witness to changing water and farm dynamics of Punjab—from the introduction of MSP in 1966-67 to the current water crisis. Jarnail says that in the early 1970s, officials from the agriculture department would come to the village, urging farmers to grow rice. But no one was ready to experiment. “Seven-eight Pakistani refugee families in our village were the first ones to grow rice. They had been cultivating it in their area before Partition. In fact, our village learnt the art of growing rice from these families,” he laughs, remembering his neighbour from whom he borrowed his first handful of rice seeds. “We never ate rice. Maize was our staple food. MSP was the main reason for farmers in Punjab to divert to rice. If the government gives more MSP for some other crop which has the same or a higher yield than rice, we are ready to adopt it,” says Jarnail. The changing crop pattern in Punjab was such that the percentage of land under paddy went up from 6.9 per cent of the total area in 1970-71 to 33.8 per cent in 2005- 06. Area under traditional crops was reduced to just 2-3 per cent. 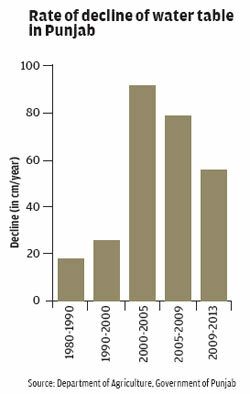 Cropping intensity increased from 120 per cent in 1960-61 to 189 per cent in 2006-07. What are the reasons for this acute water crisis? After the Green Revolution when India became self-sufficient in foodgrains, successive governments continued to focus on cereals like wheat and rice. Since Punjab and Haryana were the food bowl states, they were always expected to meet the country's need. So a kind of pressure was created to outperform earlier achievements and these expectations were being fulfilled at the cost of water and soil which the state governments and the Centre were reluctant to see. By the time alarm was raised, it was too late. But farmers need to be blamed too. To some extent, but not completely. You have to understand their environment. Farmers in Punjab and Haryana witnessed prosperity during the Green Revolution and it was the government that introduced them to rice and dwarfed wheat. The crops gave them assured income through the introduced price regime of minimum support price (MSP). Now at a time when farming profit margins are shrinking due to increase in input costs and weather vagaries, breaking this MSP psychology is tough. Diverting farmers to other crops, where you don't have an MSP, is not convincing enough. That is why crop diversification programmes are not successful. Policy intervention and good price remuneration with assured market for alternative crops is the only key. Though every state government has its own agricultural policies, it is largely the Central government funds and policies which define a state's focus. The need of the hour is to stop dependence on foodgrains and diversify to other crops, especially pulses and horticulture. Even focusing on ethanol can be quite rewarding for the farmers as well as the government, but the government is not ready to support it. Alternatives to wheat and rice have to be either on a par with them or above par in terms of price and profits. What kind of crop diversification is required for farmers in Punjab and Haryana? For farmers to shift from paddy to crops requiring less water, efforts need to be made to ensure efficient purchase of the alternative crops at MSP. “The biggest hurdle is the MSP psychology and the government is responsible for developing this mentality. Nothing is more profitable than growing wheat and rice because the government buys these two commodities. If the agriculture department convinces farmers in Punjab to diversify to maize they do not have the government to buy it from them and farmers don’t want to take risks,” says a noted economist requesting anonymity. Rice has always been given a better MSP and, therefore, farmers have not shifted to horticulture crops. “Haryana has found a way out in the form of basmati. It needs less water than conventional rice and gives a better premium. Last year, farmers in Haryana earned `2,00,000-2,50,000 per hectare for basmati rice,” says Gurnam Singh, chief of Bharatiya Kisan Union’s Haryana unit. According to Jaswinder Singh from Sangrur, “Farmers in Haryana have switched to basmati, but we in Punjab are not so fortunate because there are no rice mills in our area.” Farmers in Punjab are ready to adopt basmati, but is that the right solution? PSFC says the supply of free electricity is the main reason behind the depletion of underground water. In a report to the Punjab government in 2013, the commission stated, “At present, the ground water is over exploited which is largely due to free electricity supply. Water and power should be used efficiently.” The commission suggests that power supply should be metered and farmers should be charged beyond a certain level of usage. “A law which stops supply of free power to farmers is the only way to stop them from growing rice. Efforts to get farmers out of the MSP psychology and opt for crop diversification have not worked in the past five years. But the political establishment is not ready to take that risk and the crisis is getting deeper,” says a PSFC member on condition of anonymity. However, it would be wrong to blame only the state governments and farmers for the crisis. The Centre should take a major part of the blame. Even after reaching the stage of self-sustenance, the focus of the Central government has been on foodgrains. And Punjab and Haryana have been its first choice. The Central and state governments need to enact strict laws on crop diversification to bail out farmers from water crisis. Same Policy is required for Uttarakhand State. Pleasue do needful in this regard.